Newcastle’s young players, do you rate them? This isn’t a demolition job on the younger players at St.James’ Park, more a reality check on what our expectations should be. If one or two of these current crop come through and make it as a regular first teamer like Steven Taylor, or even a first reserve like Shola, then we should see it as a massive bonus. When I hear some fans talk about our younger players I think they get carried away and only see what they want to see and then if a younger player gets exposed by having to play a run of first team matches when they are not up to it, the crowd can quickly start to moan and groan. The challenge as well is that Newcastle aren’t in the Championship or below, they are aiming to be in the upper reaches of the Premier League and the bar is so much higher. Newcastle’s most successful group to come through more or less together was in the early 90s when Robbie Elliott, Lee Clark, Steve Watson, Steve Howey and Alan Thompson came thorugh, all going on to have successful careers in top flight football. Davide Santon was 17 when the 2008/09 season began and played 16 times, including marking Cristiano Ronaldo in the Champions League for Inter against Manchester United. The Italian full-back also made his debut for the full Italian side aged 18. In no way am I writing them off but here is a mini list of our promising younger players with current ages in brackets; Sammy Ameobi (20), Medhi Abeid (20), Haris Vuckic (20), Shane Ferguson (21), James Tavernier (20) and Romain Amalfitano (23). One missing from that list is Cheick Tiote’s mini-me, Gael Bigirimana, who was 17 at the start of last season and ended up playing 28 matches. 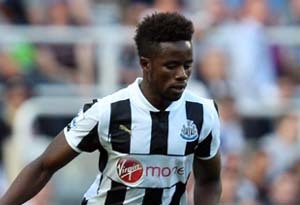 There is a reason why Bigirimana has featured in the first team already at St.James’ Park, as well as injuries creating opportunities he is clearly our best younger player and looks a knocking bet to play top level football. He shows composure and grit way beyond his years and is still only 18. I don’t think it is impossible for any of the others to make it at Newcastle but the stats and your own eyes should tell you they are up against it. Players at the very top like Messi, Rooney and others were playing top flight football at 17 and then look at somebody like Raheem Sterling at Liverpool who is looking a cracking player and he has forced his way into their first team at the age of 17. As I mentioned earlier, players such as Shola, Steven Taylor, Aaron Hughes and Davide Santon were all regularly getting first team matches at the age of 18, I see gael Bigirimana doing the same because he does look very good. It isn’t impossible for the likes of Vuckic, Ferguson, Tavernier, Sammy and Amalfitano to be playing top class football in the future for Newcastle but they are already up against it, though I think Sammy could be the one to maybe come through still. 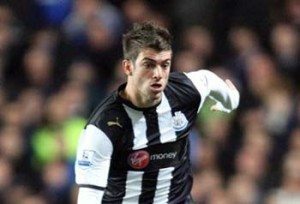 Curtis Good is an unknown quantity and by next season the management should know whether he has a chance of doing it at Newcastle. This isn’t to say they are failures if it doesn’t happen at Newcastle, it is an ultra competitive world in the Premier League and I’m sure they will all make their living in the game at some level or other. Maybe what this article is all about is a reaction to fans who talk about our group of younger players as though we have the next golden generation on our hands, as a group they are not or else they’d be in the first team, or at least ripping apart average opposition in the domestic cups and Europa matches. Bigirimana is the real deal and while the rest are wearing black & white we have to give them every encouragement when they step onto the pitch, if we kid ourselves though we are doing nobody any favours. 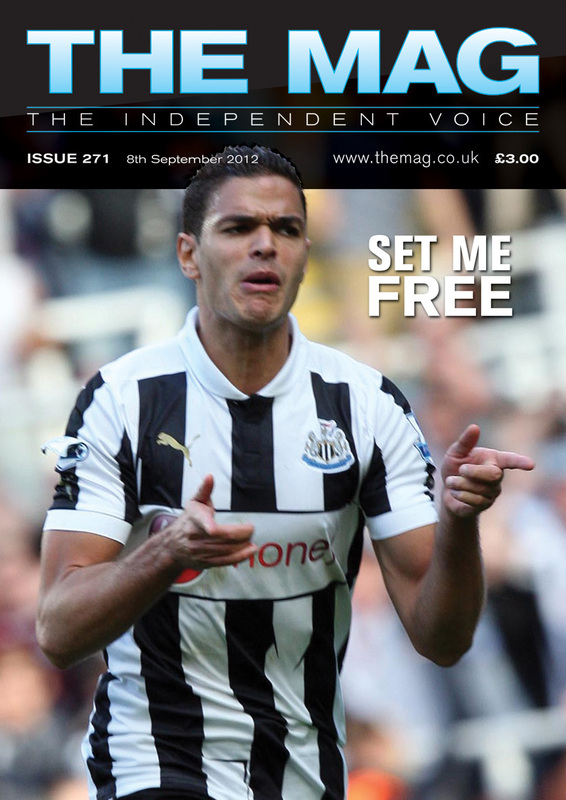 Or buy a single magazine, only £3 (plus postage), online in The Mag Shop for worldwide delivery.